The NCAA men’s basketball championship wrapped up last night! The NCAA women’s championship is tonight! The NBA playoffs are right around the corner (Go Grizz! ), and before we know it, the NFL will be taking over our Sunday and Monday nights. 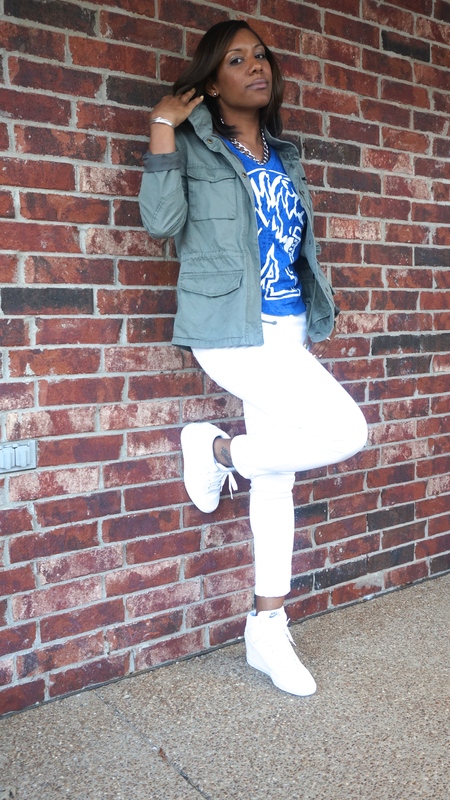 Grab your favorite team’s tee, skinny jeans, sneakers (wedge sneakers are my current obsession), and a utility jacket to complete the look. I can cheer on my Tigers, and be cute and comfortable at the same time. You don’t do sneakers, but you’re not going to strut through the arena in stilettos. Flats and simple chic are your thing. 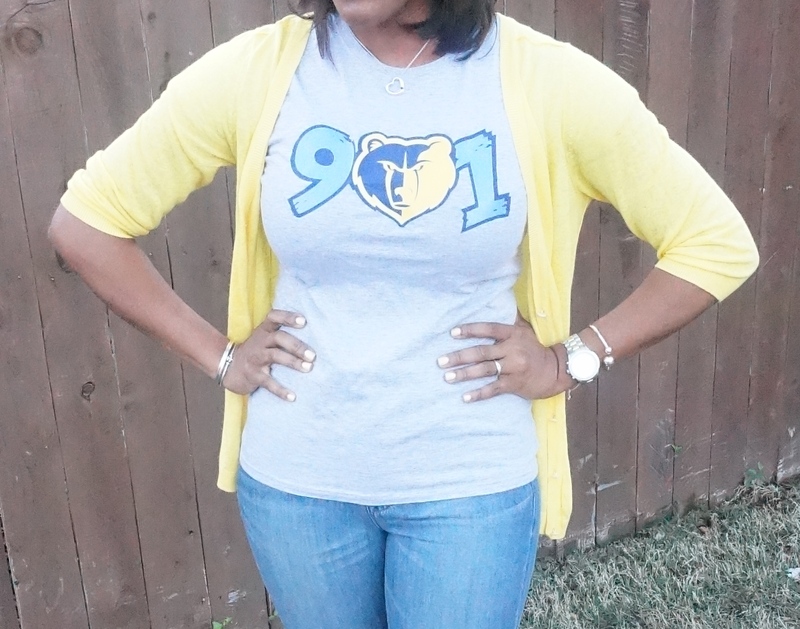 Grab your favorite team’s tee, add a cardigan, boyfriend jeans, and flats! You’ll be cute as ever if they show you on the jumbotron. Complete the look with a cross body bag to keep the style going while holding all of the essentials. 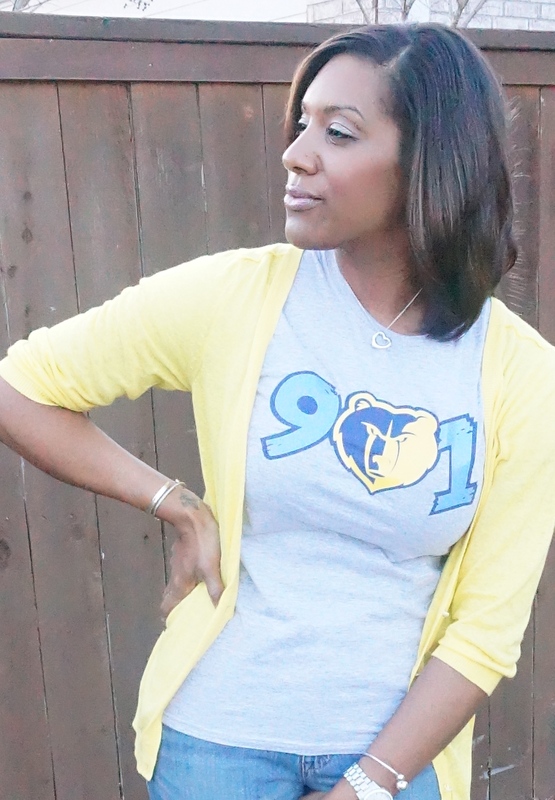 Grizz tee by my buddy, Divine Prodigy. Contact him here. You can’t concentrate in flats and wouldn’t be caught dead in sneakers outside of the gym. So, start with your team tee, skinny jeans, and most comfortable pair of heels (as if!). 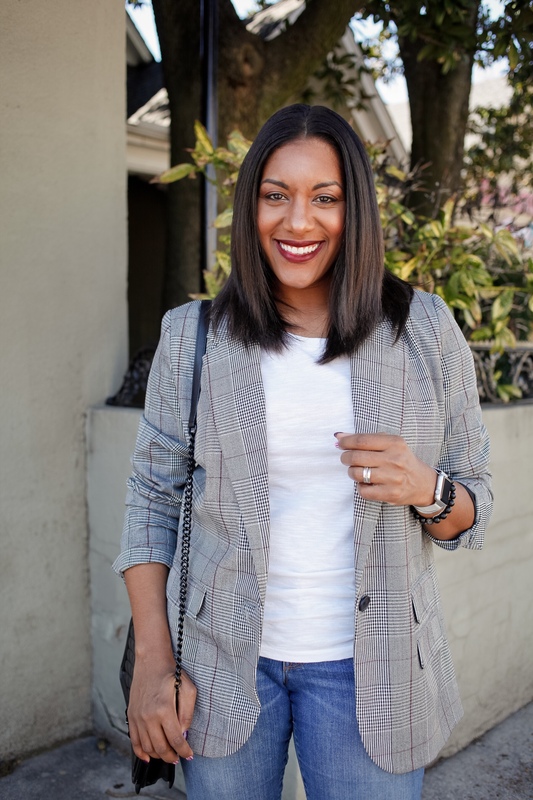 Throw on a cute blazer, grab a clutch, and BOOM! According to Q, women can love sports and be stylish too! 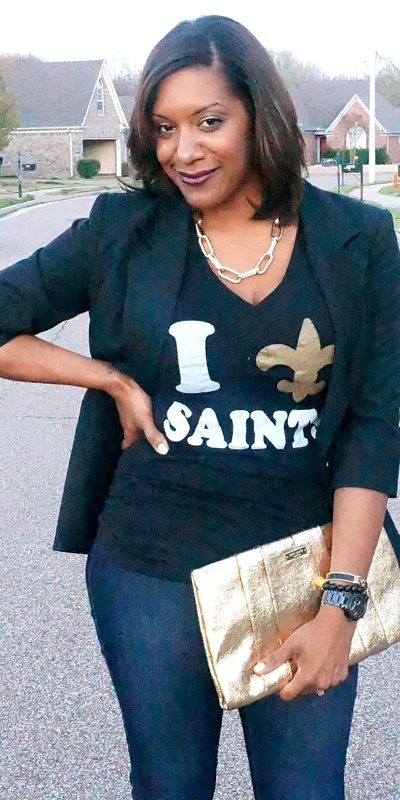 Grab your favorite team tee in a girly fit and accessorize according to your personal style. Which lady are you? Who’s your team?